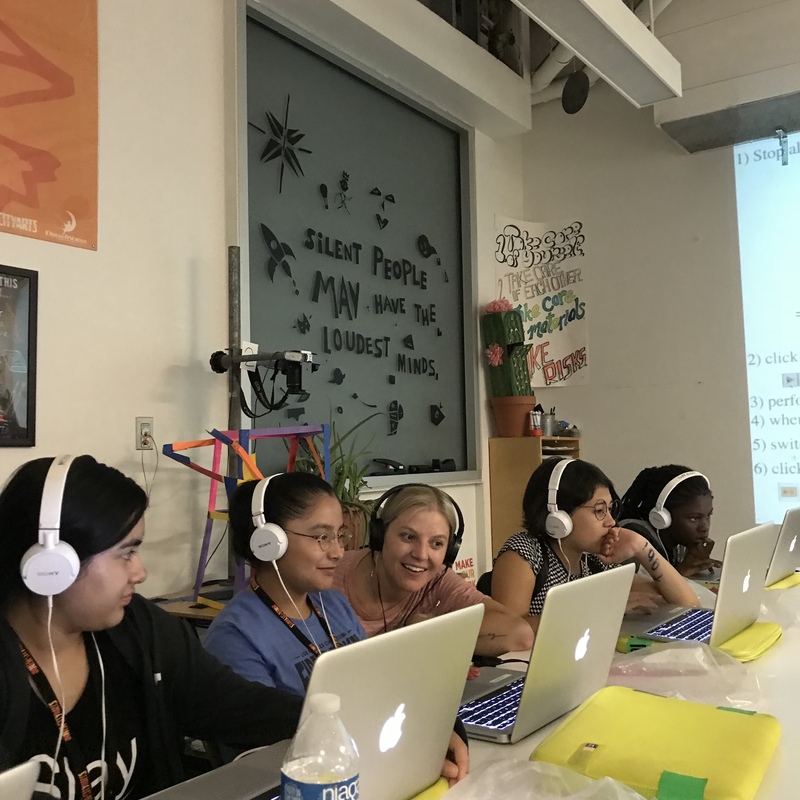 This summer, Inner-City Arts had the pleasure of inviting a few special guests to meet with our middle schoolers to provide a look at what it’s like to transform your creative passion into a professional career. In many ways, it felt as if we were peering into the potential future lives of our many young artists who have spent this summer exploring, taking creative risks, and cultivating a new confidence in their own voice. We first kicked off the month of July with a visit from Martellus Bennett. Martellus toured the campus and even joined in on a dance performance with our students. 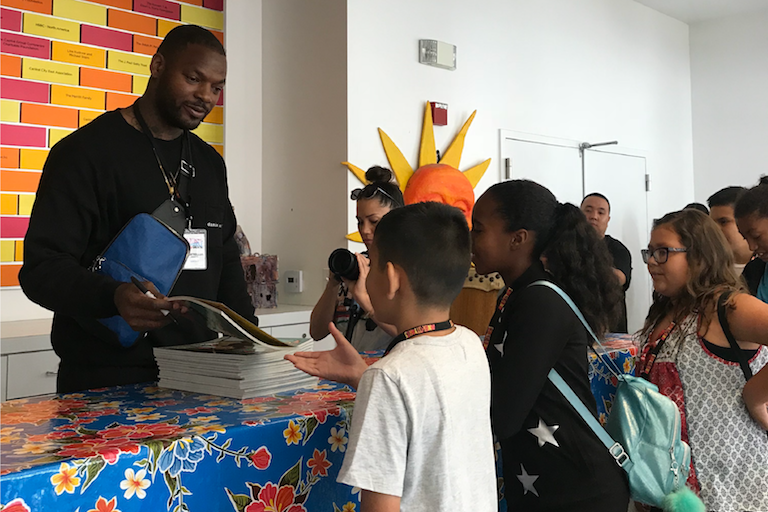 The highlight of the visit, however, was the special screening of his new show, “The Fantastical Adventures of A.J.,” an animated series inspired by Martellus’ four-year-old daughter. 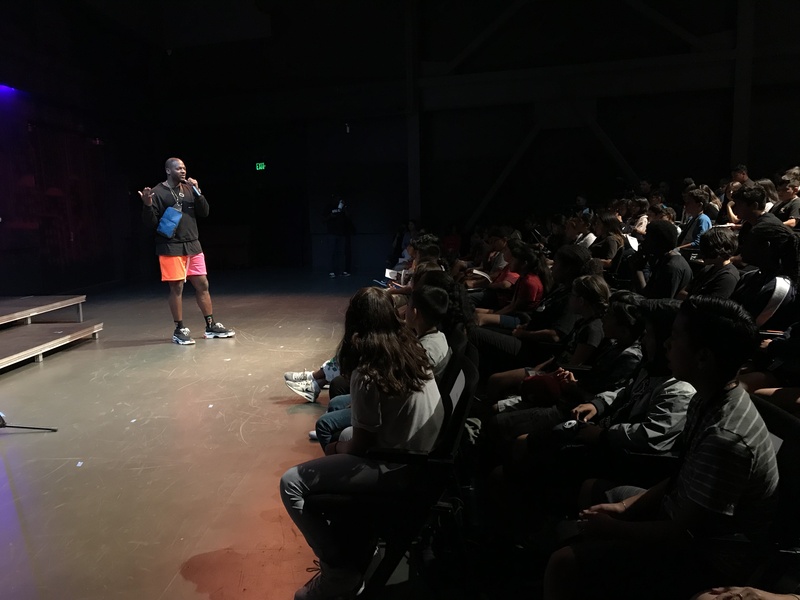 During a Q&A, our middle school artists learned of why Martellus left professional football to write, direct, and animate full-time and the power of creativity in his life. Martellus sharing his daily inspiration with our students. The inspiration didn’t stop there. Later on in the month, we invited the American Contemporary Ballet onto our campus for a special interactive performance! The performance broke down the basics of dance and demonstrated to our students that all dance, regardless of the genre, is a just few simple moves. The dancers translated hip-hop to ballet by blending a Bruno Mars song with the classical styling of composer Stravinsky. The students then collaborated with the performers to choreograph their own dance. The ballet dancers later answered questions and shared what motivates them to pursue such a physically-taxing career. 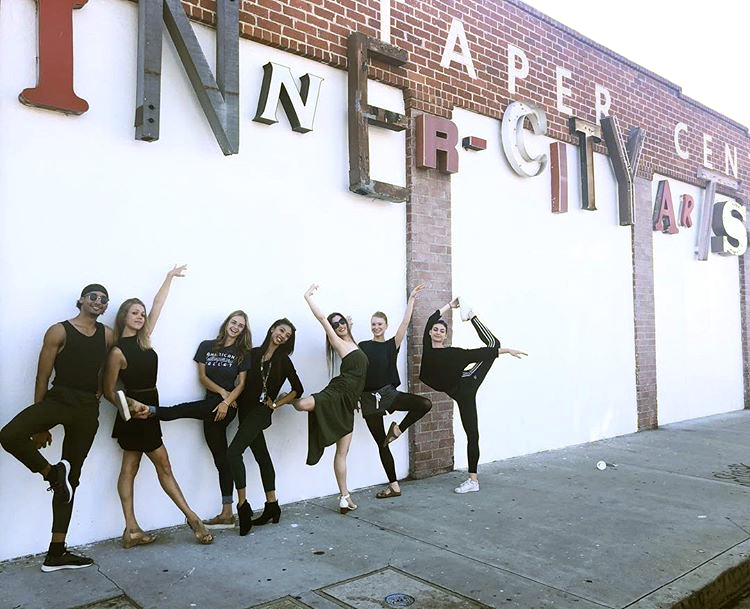 American Contemporary Ballet members stretching before their performance. “Nothing compares to the feeling of being on stage. It feels like you’re in a different world,” one dancer said. We couldn’t agree more. The month of special guests didn’t stop there! 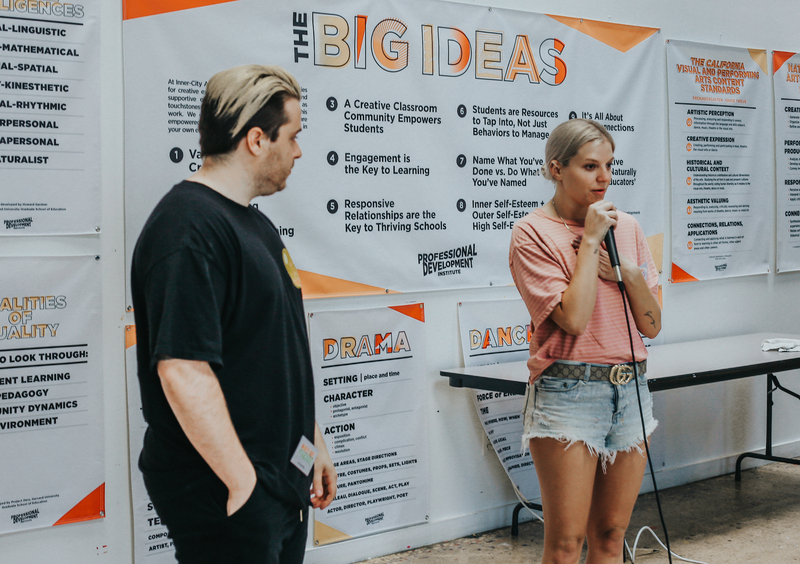 Thanks to Paradigm Talent Agency, Australian electronic recording artist, GG MAGREE, and her team worked one on one with students in our Digital Music Production workshop to engage with and listen to the students’ creations. GG MAGREE working one-on-one with students in the studio. Thank you to all of our special guests for giving our students a glimpse into what professional careers powered by imagination and creativity can look like!